How Lisa Overcame Chronic Fatigue, Fibromyalgia and Lost 50 Pounds! I was diagnosed with Fibromyalgia, Epstein Barr and Chronic Fatigue in my early 20’s. At times just getting out of bed and showering were miraculous feats of athleticism. Gosh, even sleeping could be exhausting. But, yes, you are probably right that I would feel much better if I would just stop being so lazy and go out and run 5K. Silly me. And I was always the big girl. Usually the largest of all my friends with a wardrobe full of practical clothes that fit rather than wearing the cute and sassy clothes I really wanted to wear. If there was a weight loss diet out there that gave me more energy and caused the weight to fall off — sign me up. I’ve not stopped experimenting with a way to eat that made me feel better since I was 15. 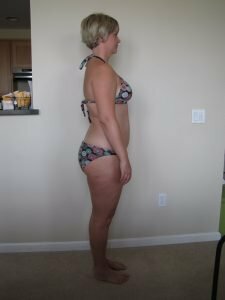 I’ve done the 4 food groups, and protein diets, and weight watchers, and raw food, and brown rice diets, and candida diets, and allergy and elimination diets…Some of them dropped a few pounds temporarily, but none of them ever really eased the fatigue or pain. And so it felt like a vicious cycle of health and weight struggles because I was obviously just too lazy to do what it took to have energy and be pain-free. 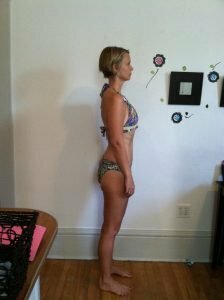 After spending the last 4 months playing detective with this amazing process developed by nutritionist Lyn-Genet Recitas that lets you easily pinpoint the foods that create chronic inflammation in your system — I am 50 lbs lighter, 7 sizes smaller…and pain free…eating cheese, and dark chocolate and — wait for it — potato chips. It required understanding my own chemistry and getting to the bottom of what foods stress my system out and create inflammation — which showed up for me as depression, pain, fatigue and extra weight. You can read the New York Times Bestseller The Plan or email [email protected] for more info on how to change your health and your weight!